Every weekend I like to go out and explore the beautiful Silicon Valley. When the time allows it, I plan a long road trip and I make sure to enjoy the voyage as much as the destination but I will not say no in spending a weekend visiting places close to home. Bay Area is huge, I’m used to European measuring scale, therefore I had to learn that whole Silicon Valley is “close to home”. It wasn’t easy but now I’m comfortable driving 20 miles to Mademoiselle Colette for breakfast or take a 50 minutes drive for a clam chowder at Stagnaro Bros in Santa Cruz. In one of these busy weekends, in my search for some quietness I’ve discovered the Japanese Friendship Garden. The garden is beautiful and most important is quiet, really quiet. 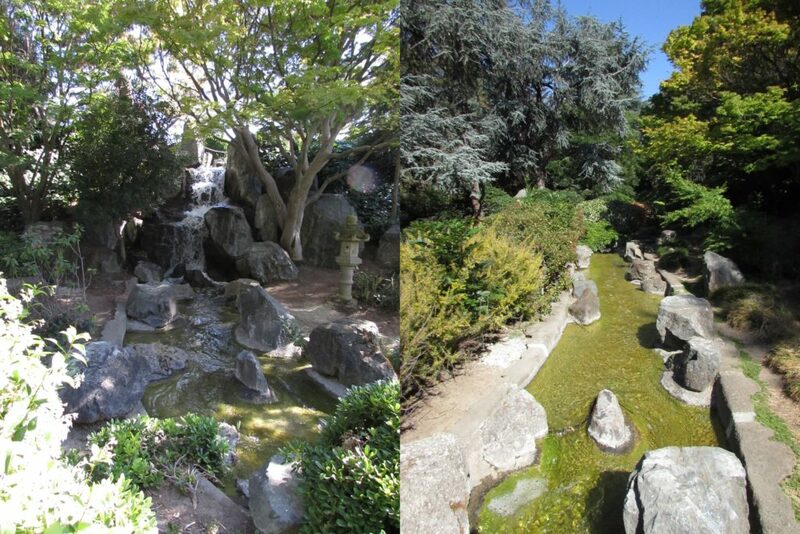 The Japanese Friendship Garden was build as a living symbol of friendship between San Jose, CA and Okayama, Japan. Patterned after Korakuen Garden, Okayama this magic place was built 1965. The creek that flows throughout the entire extent of the garden is forming several quiet ponds. I’m glad I’ve worn a simple butterfly sleeves dress for this idyllic place. The stencil of the dress is giving a playful and flirty form, although it’s not contouring the silhouette. I normally don’t buy white dresses but this pattern made me fall in love. Tips and tricks: Toned down the baggy look by the drawstrings that adjust the waist line. 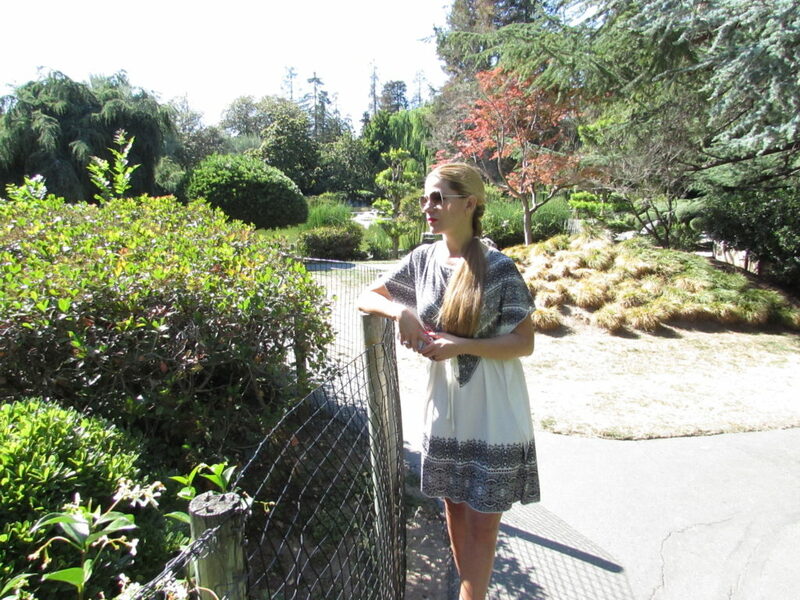 The Japanese Friendship Garden is my favorite quiet place, what’s yours?